The French novel L'Étonnante aventure de Hareton Ironcastle (1922) by J.H. 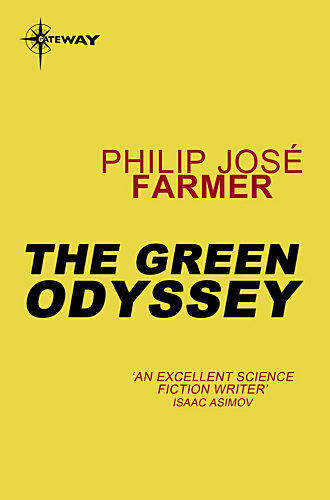 Rosny has been translated and retold by Philip José Farmer. According to the book: "Farmer has told it in his own words, following Rosny judiciously and adding certain surprising embellishments of his own." Somewhere in the unexplored heart of Africa a part of this Earth had been taken over by an intelligence from outer space. Such was the message that reached the explorer Hareton Ironcastle, member of the famous Baltimore Gun Club. In that hidden and transformed valley would now be found monsters and pre-humans not to be seen anywhere else. Such a challenge could not be ignored, and the account of Ironcastle's expedition of daring but inexperienced amateurs became one of the classic novels of the French writer, J.H. Rosny, who was a contemporary of Verne, Wells, and Edgar Rice Burroughs. Now Philip José Farmer, Hugo winner and chronicler of the adventures of Tarzan and Doc Savage, has translated and retold Rosny's novel, making it a marvel adventure novel to stand alongside the works of Burroughs, Haggard and Farmer himself. Illustrated by Roy Krenkel. The Canadian printing has exactly the same data as the US edition, it only states 'Published by The New American Library of Canada Limited'. According to DAW policy it is counted as a second printing. Illustrated by Roy Krenkel. Later printing indicated in a row of numbers on the copyright page. No credit to the original author J.H. Rosny. Pictorial boards. A print run of only 30 copies. The novel is illustrated by Roy Krenkel.